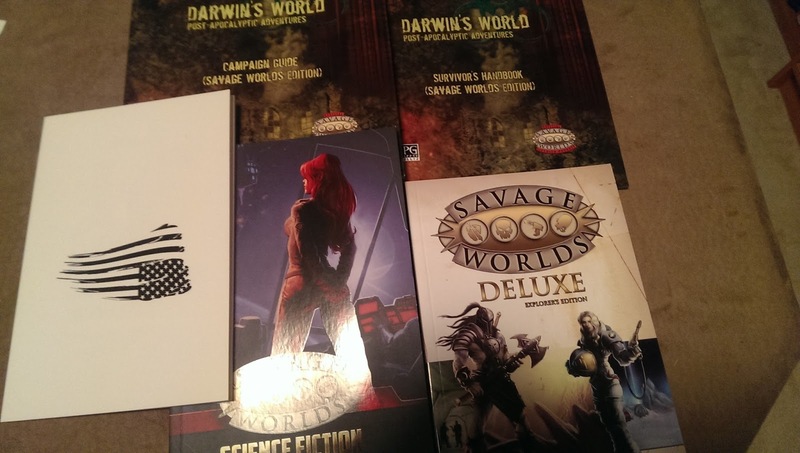 With the recent announcement about Savage Worlds Rifts, I pulled out my copy of the Savage Worlds Deluxe Explorer's Edition, along with the few other Savage Worlds books that I own. I thought it would be a good idea to refresh my knowledge of the Savage Worlds system and maybe start working on building a Campaign. The Rifts edition isn't due out until Christmas, and I know delays may happen, but with my schedule being so crazy with real life obligations and such, starting sooner rather than later, is probably a good idea. With all the cool Sci Fi stuff coming out this summer and fall; movies, T.V., etc, I may try to run some space opera stuff this summer to prep for the awesomeness of Rifts. Trey's Strange Stars is a great system neutral sourcebook, and Mike over at the WrathofZombie blog has been doing some great Savage Worlds conversions! And if I need to throw some Marvel aliens into the mix, my buddy Giles over at the Worlds Galore blog has been posting a bunch of cool Savage Worlds write-ups, Thanos anyone? Anyways just a random Sunday afternoon post. Hope everyone is having a good weekend. 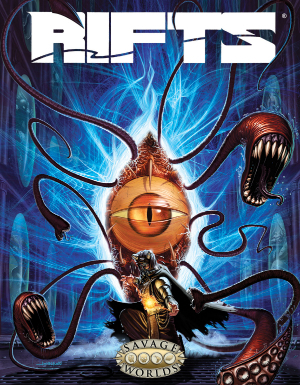 Rifts is coming to Savage Worlds!!! The announcement today really knocked my socks off! I'm excited and quite hopeful about this one. I loved playing Rifts back in the day, but the system just doesn't work for me these days, especially character creation. My gaming schedule is hectic and crazy at best, non-existent at worst, time is a very hot commodity around these parts. Savage Worlds is Fast, Furious and Fun and Rifts as a setting is just Awesome! This is all kinds of chocolate in my peanut butter... course I'm a diabetic so I'm definitely in trouble with this one! I'm soo ready for this! !